For this look i wanted to have that 70's vibe and yet still look modern. I am obsessing over turtlenecks at the moment. I have probably bought more than five turtleneck knit sweaters for the past couple of weeks. Canada gets pretty cold, so turtlenecks are perfect to keep those neck warm. On the other hand, i got this denim jacket from HM. It was on-sale for only 20 dollars, was regularly 69 dollars. So that was a great find. Overall i think it look is perfect for day and night. 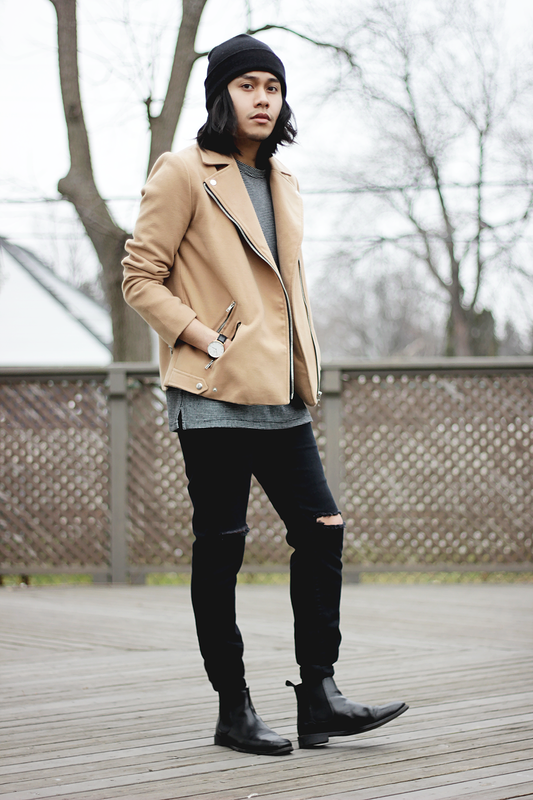 turtleneck from forever 21, daniel wellington watch and boots from asos.